Did you ever you feel like you can’t control your online shop manually and keep track of everything? It can mean only one thing — your webshop has grown big enough and needs some extra tools to keep operating effectively. Your store needs a decent backend system, like an ERP. If you are ready to improve your sales rates, deliver better service to your customers and run your business smoothly — read further. In this post, you will get to know in which cases you need an ERP system integrated to your business, how to choose the best embedded ERP for Magento. What features of this system should you take into the consideration while making a choice? We will provide you with some good answers, so go ahead and let’s move further on! Do you have hard times taking care of rapidly growing order volume? Is there a delay in your orders more and more often? You lost an idea of what are your inventory counts? Seems like it is taking more and more both time and effort to keep track of your income and expenses at the end of the month? Are you unable to predict your sales and make an accurate forecast? You have a feeling of your customers being more and more dissatisfied with the service and there’s nothing for now to fix the situation? Good thing, you are not the only one struggling with these problems and there’s a perfect solution for the issue. You need an ERP. It is truly a lifesaver for omnichannel e-commerce. 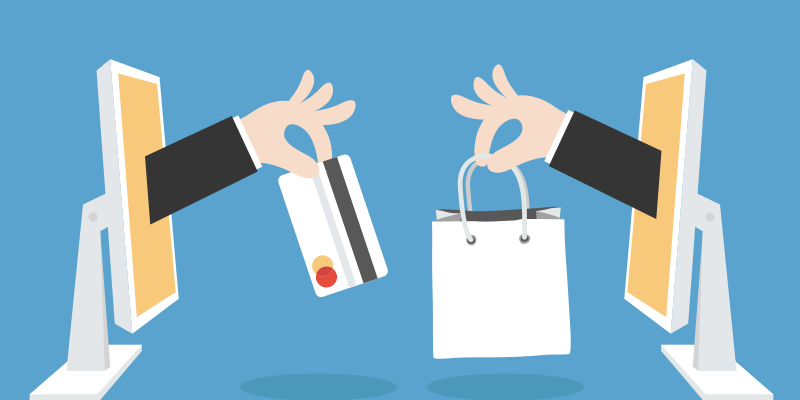 How do you know your business is omnichannel? It’s omnichannel when it unifies sales and marketing to create a single commerce experience across your brand. Let’s start with sorting everything out and get a clear understanding of what is ERP system and what is it used for. 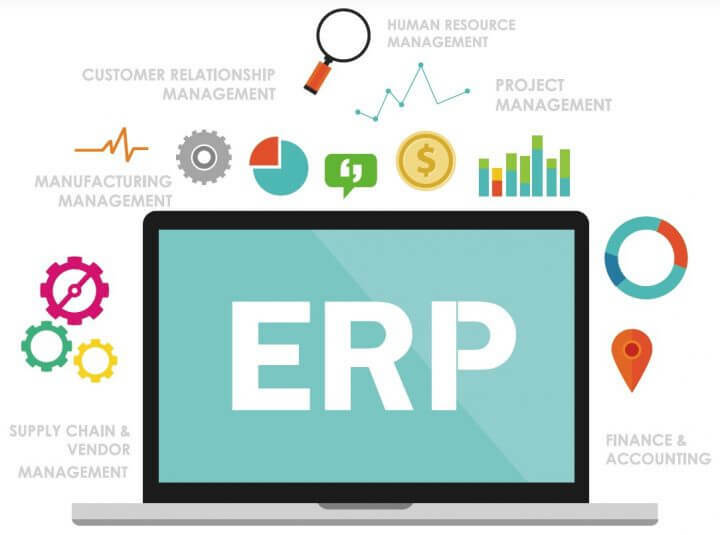 ERP is Enterprise Resource Planning system, which helps you systematize and process your business data, such as sales, orders, inventory, and customer data. To sum it up, integrating Magento ERP solutions will allow you to work more efficient, as well as will drive more of your focus on customer experience, and loyalty. How to choose an ERP? What order volume do you expect? Which type of resources needs to be accommodated? What is your complexity of order fulfillment? How do you want to handle your workflow in ERP? Do you have multiple suppliers? Do you work with various drop shippers? What is the main reason for integration of ERP? What is your weakest area: orders, shipping, inventory management, or reporting and forecasting? Online and (no) offline. 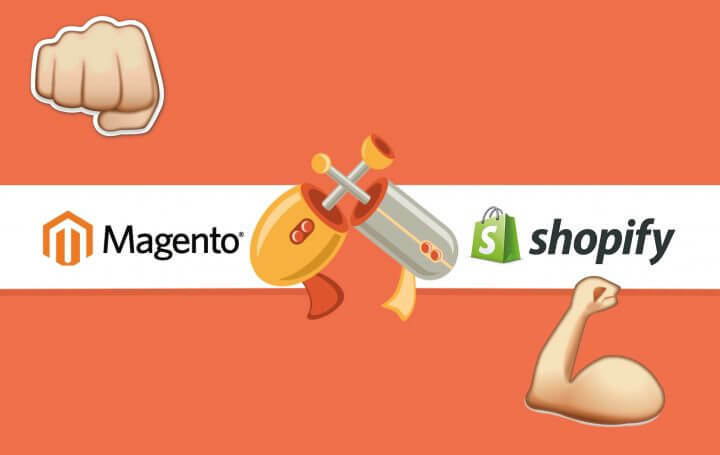 Is your Magento store the only one you have? Do you own an offline shop? Are you also selling at fairs and marketplaces? Do you supply your business with own manufacturing? How big are you? Are you a small or medium business owner? Or have you already reached Enterprise size? Is there anything that might be in hindrance for ERP integration with your Magento online shop? These questions will help you take into consideration all the important things both about your business and potential solution. They also will be very helpful guiding you while evaluating different options. Once you’ve gone through the questions and have a general idea of what you are looking for, it’s just the right time to go to the next step — define your Magento needs. To begin with, you have to understand the workflow of the orders and data setup in Magento. First is to understand the order work-flow and product data setup in Magento. To set up everything correctly you have to realize how order management happens in Magento. You also should be aware of how products are set up and managed. In Magento, you can control product data by attributes. With attributes you can also process another important order information, that is relevant to the one that is passed to ERP. Thus, understanding how your data is already organized or how you want it to be organized is the primary step towards successful integration. This includes what product types, attribute sets, attributes and anything else about your Magento product data you will need to be sent to your ERP platform. Wrapping up the first step, you have to create the workflow design you want to follow. The more complex your workflow is, the more complex the integration will be. Another point to consider — future integration of other systems and how could they affect your Magento/ERP integration. Think of POS or PIMM, for example. Going through those details at the beginning will guarantee suture smooth operation of the whole integrated system. 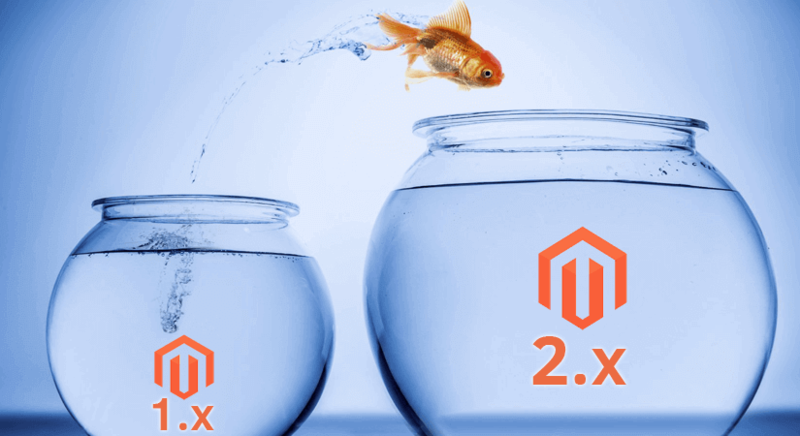 Another bonus of Magento is out-of-the-box integrations on the market to all major ERPs, such as SAP, Microsoft Dynamics, Sage, NetSuite and so on. There are different ERPs you might find. Each of them works differently and provides numerous functionality. It is recommended to define what do you want your ERP system cover for you, so you exclude overwhelming with processes and data you do not really need. Understanding the system and its functionality will bring you to smooth integration, work efficiency and proper system operation. You might do integration yourself as well go under the service of the third party. If you are afraid that you are unable to predict all the functionality you might need for your ERP platforms — no worries. There are features that may be added as extensions to the system. Many out-of-the-box features can also be modified or customized following your business needs. Thus, you may plan the choice of your ERP based on the data you need to be processed between the system. Here’s your little helper. It’s the list of data you might want to exchange between systems, so everything just keeps up to date. There are different ways of integration you might choose from. Most common are point-to-point, custom built, or by a multichannel integration platform. To choose which one will suit you best, let’s figure their main advantages and disadvantages. This option would be the best for smaller traders, however, they won’t fit the needs of fast-growing businesses. Connecting your ERP to Magento, in this case, is very affordable (around $100/month), they can be found in Magento Extension Marketplace. Their main feature is offering point-to-point connector which means, that your Magento store and your ERP are connected on both ends to each other. Such connection allows synchronizing data. However, managing data won’t be possible right away, since there’s no operational platform in the middle of them. There will be the additional need to choose a system to manage the data in. Another restriction is in the flexibility of platform while adding more sales channels. A point-to-point integration doesn’t allow for as much flexibility as you add sales channels. The reconfiguration of the system will obligatory after there’s a sales channel added. 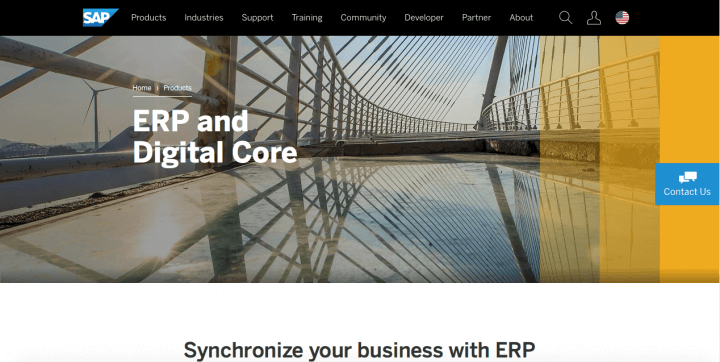 A good way to integrate Magento with ERP could be custom integration. It means that you are able to build own custom integration, which will work using both applications’ programming interfaces (APIs) to synchronize data needed. Of course, custom integrations are more complex, and as a result more expensive. That’s why there are companies that actually offer these services as their primary business offering. Therefore, the solution would be the best for organizations with specific resources and requirements. To sum it up, there’s no need for the custom solution for SMB, at least because the expenses will be unjustified. The multichannel solution is the platform specifically designed to integrate systems such as Magento and ERP systems. This option already includes operational hub to store and manage your data. The main data types such as item, inventory, order, customer, and shipping are automatically synchronized. The platform uses connectors for Magento and your ERP, which makes configuration easy and flexible. This solution is more expensive, then point-to-point solutions. It costs up to several hundred of dollars per month. The set up is free. We recommend this solution to both SMB and Enterprise sellers. The management in multichannel option is more efficient as well as the platform is scalable itself. Thus, it’s easily adjustable to all the changes in the system. Furthermore, the solution scales along with your business, fulfilling all the needs occurring. The ERP market now is pretty developed and has a wide range of solutions to offer. However, when it comes to integration with Magento it gets more complicated. The structure of both Magento and ERP are complex, so the integration is not that easy to implement. 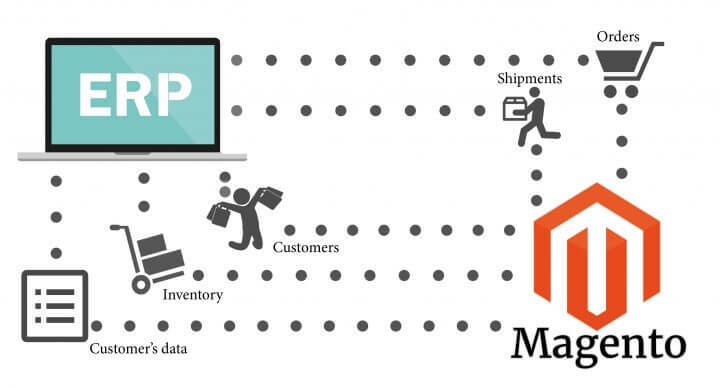 Nevertheless, many of the popular platforms have prebuilt Magento ERP connectors created by the third party integration companies. As a result, the implementation of the system goes easier and faster. A lot of pre-built integrations are available at Magento Connect. There is also an option of connecting your ERP to Magento by using the vendor’s solutions while contacting them directly. 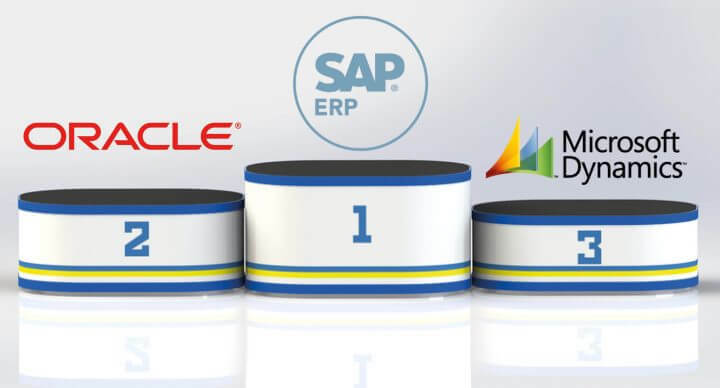 No surprise, that several years in a row SAP is the best enterprise resource planning system existing. So what makes it so awesome? Constantly developing and providing useful solutions SAP is one of the clear leaders in the industry and one of the most trusted solution provider’s among customers. SAP has a variety of services to provide, especially for enterprises, that need complex and functional rich solutions. First of all, it meets industry-specific needs. Harness proven best practices and built-in processes for a wide range of industries – from manufacturing and distribution to professional services and retail. Secondly, it manages your entire business. It means, that SAP applications give all the tools you need to operate more efficiently. You get rich functionality for finance, HR, supply chain management, e-commerce, and more if choose SAP. Lastly, you rely on a top ERP vendor. The company offers world-trusted software, which seamlessly integrates with CRM and other applications, incorporates the latest technologies – and can be deployed quickly in the cloud or via ERP support services. The other thing worthy to know is the cost of software, which ranges from $3000 to $7,000 just for the extensions. We highly recommend SAP, since we consider it to be the best solution so far. 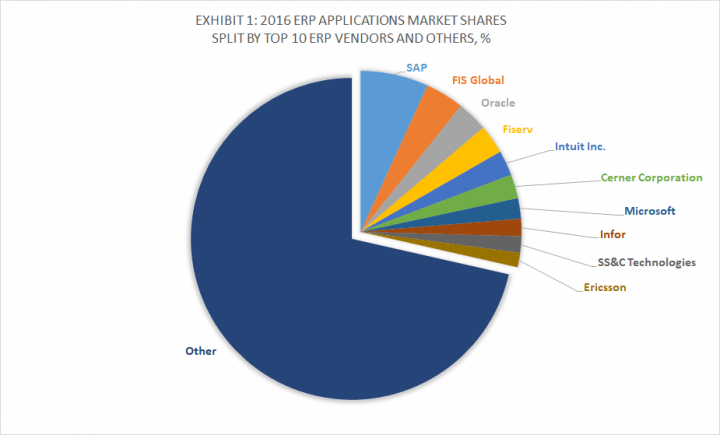 You can find more about SAP ERPs here. All of them are multi-site and multi-national as well as provide the rich variety of functions. We think, that Oracle solutions may become a good option for a B2B Magento ERP integration. Some of the solutions have limits on user range. Some of the functionality is cut in cheaper versions of Oracle. The price is fairly high. It starts with the lowest $12,000 and reaches up to $400,000 for JD Edwards EnterpriseOne. 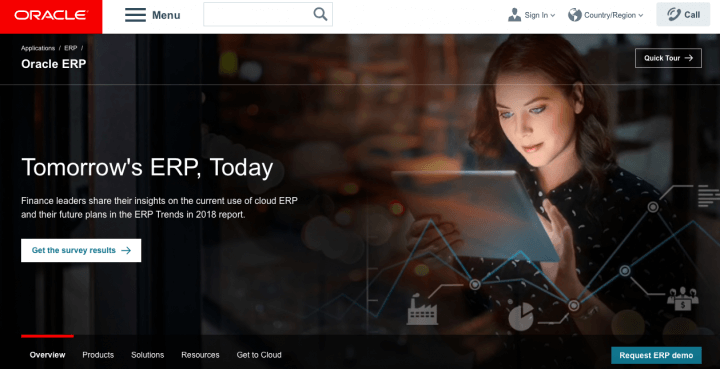 More about Oracle ERP is here. 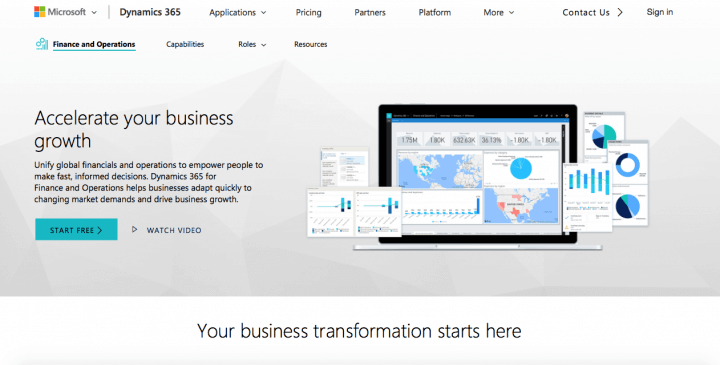 While connecting your ERP to Magento we also recommend taking into consideration Microsoft Dynamics solution. It is a popular product with many types of businesses. Firstly, Microsoft is a certified Magento partner. There are 14 Microsoft extensions available, which covers a big variety of companies of different types. 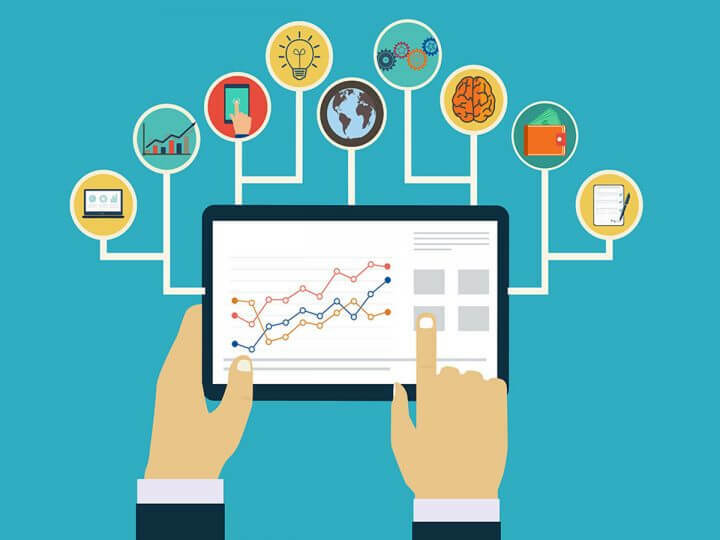 With Dynamics, it is easy to drive innovation with an intelligent application that is handy to tailor, extend, and connect to other apps and services you already use. It also effectively modernize supply chain with unified, advanced warehouse and inventory management to improve fulfillment, material sourcing, and logistics. Some of the extensions are fairly expensive. The price might reach up to $15,000. The integration itself is also complicated and expensive since requires strong technical skills. There also may be some custom development required to run the integration properly and meet your expectations. Additional info about Microsoft Dynamics is here. let your needs meet your wants … and budget! Questions or doubts left — let us know. We will provide you with professional advice or help you with your ERP integration.